Remi Cruz is not just an answer to many people’s questions but she is also a major inspiration to women struggling to embrace their body and who they are. From creating Do It Yourself (DIY) content to other meaningful tutorial videos she uploads for her fans, she has been amazing, outstanding, and relevant to her generation. Cruz launched her YouTube channel a couple of years ago by making a video about her preparation for ASB camp which quickly went viral and ended up attracting the attention of several brands. In this article, you’ll get to know all the deets about Cruz’s personal life and profession. Though professionally known as MissRemiAshten, the YouTuber was actually born Remi Cruz on the 7th of February 1995. She is a native of Anaheim Hills, California, in the United States. Cruz holds an American nationality and belongs to a multi-racial ethnicity that includes Guamanian (Chamorro) and Korean ancestry. A graduate of Orange County High School, Remi has a younger brother whose identity is yet to be revealed. She graduated with a degree in psychology from The University of California, Riverside. On YouTube, Cruz is known for her content on makeup, cooking tutorials, fashion, Vlogs, lifestyle, and DIYs. She started her online career in the year 2012 when she created her main channel MissRemiAshten, after which she established her second channel RemLife the following year, precisely on 7th September. One of her most notable videos is “HUGE Back To School Clothing Haul” which was uploaded on the 23rd day of September 2013. Apart from YouTube, Cruz has severally advertised products on her Instagram page for popular brands like Revolve, Honey Pop, L’Oreal, Beauty, Nohmad Snack Co, Country Pride, Starbucks Coffee, Nars, Boscia, Maybelline, Neutrogena, Mac, Too Faced, Tarte, SoulCycle, and much more. 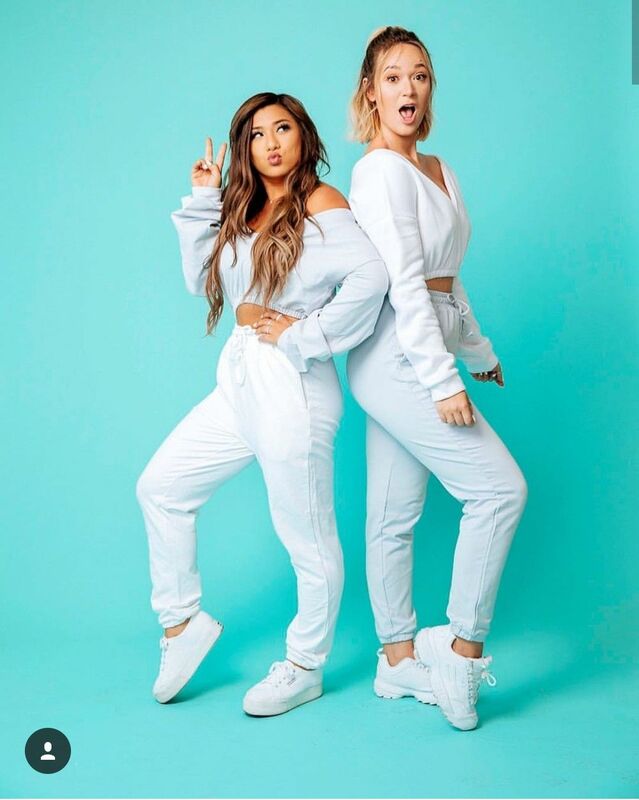 Missremiashten, as she is fondly called, has also worked together with a couple of prominent YouTube sensations such as Shelby Church, Kenzie Taylor Borowski, Monica Church, whose ideas also helped her set up her net worth and build her channels. Remi Cruz makes her wealth from her two YouTube channels, adverts for brands, and other sources. From the year she launched her career till date, her career has been on an upward rise and she has no plans of slowing down her online activities. Currently, her net worth is estimated at $2 million, according to several reliable sources. However, the exact amount she makes per month from her channels is not a matter of public knowledge. It is no news that Remi Cruz has won the hearts of many with her online projects and beauty. In the past, she dated severally men whose identities are not readily available even though she introduced some of them in her videos at some point. Currently, it appears that she is flying solo as there are no records of her dating any guy or bracing up for marriage with anybody. While most of her fans believe she could be dating someone secretly, the YouTuber appears not to be ready to really set the record straight. From what we know, growing her career to an enviable height is one thing Remi is really focusing on now and she seems to be making headway. Her Instagram, Twitter, Facebook, YouTube accounts are where Missremiashten plies her trade on. These places are also where most people can easily get connected to her. So, it comes as no surprise that she has a massive following on these platforms. On each of them, Remi Cruz boasts over one million followers and subscribers who are in love with what she does. You can get to meet and relate with her using any of her social media accounts. Have you ever wondered why Remi Cruz is highly sought-after online? As earlier mentioned, she wears various hats and she is mostly loved by women for makeup tutorials and related contents. As a beautician, she hasn’t been doing poorly and the most interesting thing about her is that she is beautiful and naturally endowed as well. If you’ve watched any of her videos, you will easily notice that she is of average height and possesses attractive physical features. The YouTuber stands at a height of 5 feet 6 inches and weighs around 64 kilograms. Her chest-waist-hip measurements are 34-33-37 inches and the size of her shoe is 7 (US). The colour of her hair and eyes are both dark brown. In an attempt to stay healthy, Remi Cruz lost an impressive 45 pounds in just three months in late 2017. Revealing the exercise plan and diet that helped her in an Instagram post, she expressed satisfaction that she didn’t resort to drastic measures while the journey lasted.